1. Creating intellectually stimulating environments: BKS teachers understand how young children learn, develop, and succeed. They see their role as facilitating the growth of each child in math, literacy, science, and social and emotional development. BKS uses the Creative Curriculum, a research-based curriculum that utilizes interest areas to support children’s learning. Classrooms are well equipped with appropriate materials and supplies, making them inviting places for children to engage in active learning. 2. Accelerating children’s language, literacy, and cognitive skills: These skills are critical for BKS children to be on an equal footing with children raised with greater advantages. One of the greatest tools we can give students for success—both in school and in life—is a robust vocabulary. In fact, vocabulary size correlates positively with greater reading comprehension and general academic success. 3. Supporting family stability: By itself, early education is not enough. To succeed children need the support of economically secure and physically and mentally healthy parents. The BKS Family Services Team works with families to create needed support and social service plans, including parenting education, healthy cooking classes, GED and ESL classes, financial planning, playgroups, childhood development workshops, parent-child reading activities, and arts and enrichment activities that foster positive parent-child relationships. We also offer referral services for substance abuse prevention, mental health care, employment, housing, and more. 4. Partnering with families: Family members are critical partners in all aspects of the BKS program, including parent meetings, classroom participation, training sessions, parent-teacher conferences, weekly communication with other families, and informal gatherings. Special emphasis is placed on literacy to encourage parents to read with their children. Families obviously want their children to succeed, and BKS ensures that parents can take advantage of programs and opportunities that are available for their children. BKS long has used data analysis to strengthen our early education programs. 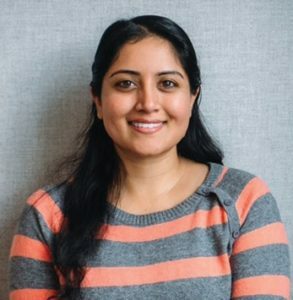 Anusha Subramanyam, PhD, the BKS Director of Education and Research, is expanding these efforts through the Continuous Quality Improvement program. CQI uses data in real time and on an ongoing basis to analyze progress at our early childhood centers and make changes as needed to improve outcomes for children, teachers, and classrooms. Anusha gathers, analyzes, and presents data to teachers in a manner that allows them to use the data right away. This allows BKS to make necessary changes to instruction and classroom strategies—and maintain a high quality program. For example, Anusha creates regular reports for each classroom that show if individual students are falling behind and in which skill areas. Teachers then focus on the students who need additional support in those academic and social-emotional development areas. At the classroom level, she measures the quality of teacher-student interactions and uses the data to design workshops and coaching strategies for the teachers. “The purpose of CQI is to bring data to life,” says Anusha.